The Permanent, Secretary, Federal Capital Territory (FCT), Sir Chinyeaka Ohaa has charged SERVICOM programme officers to ensure they remain courteous as the Administration is committed to deliver the best service to residents of the Territory. refrain from actions that could impact negatively on the operations of the FCT Administration. The Permanent Secretary made the disclosure during the induction of FCTA SERVICOM officials and inauguration of FCTA Ministerial SERVICOM committee last week in Abuja. 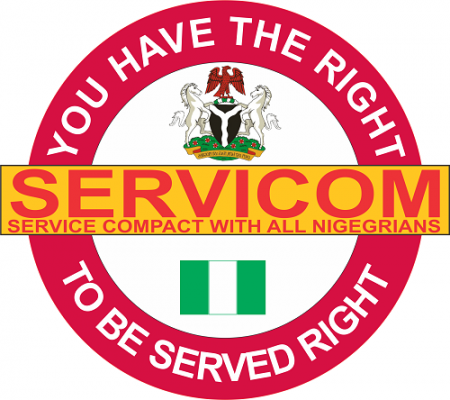 Ohaa, who was represented by a Director in his office, Mr.Udo Samuel Atang noted that SERVICOM officers should ensure they monitor all service rendering agencies with a view to avoiding any infraction. synergy between the two sister units. Describing the nation’s capital city infrastructure as the best in the entire country, Ohaa that Federal Capital Development Authority (FCDA) engineers have always been in the hall of fame due to their sterling performance. According to him, “We have the best infrastructure in the whole country. Our engineers are exceptional, they have always been rated high among their colleagues. “FCDA has the greatest number of fellows you can think of in the country, I therefore urge you to be courteous and ensure you render the best service to people that seek services from FCT. Also speaking during the event, the National Coordinator of SERVICOM, Mrs Nnenna Akajemeli,who was represented by the Team A Leader, Mrs.Ladi Aku explained that government exists for quality and excellent service delivery to its citizens. Akajemeli therefore calls on SERVICOM officers to be up and doing with a view to ensuring that FCT residents get the best services they desire. On her part, the Head of FCT Call Centre, Dr. Jumai Ahmadu who used the event to shed more light on how the FCT Call Centre has been able to handle complaints from residents of the Territory over the years, and described the inauguration as new dawn in service delivery in FCT. Ahmadu further charged the SERVICOM programme officers to approach their new assignment with dedication and commitment, in order to ensure FCT remain a pace setter in all ramifications. quality and excellent service the Administration poised to deliver to residents of the Territory. She stressed that the FCT SERVICOM is committed to change the narrative of service delivery in the Territory. She charged all SERVICOM programme officers in various SDAs to always see themselves as FCT Ambassadors as it is no longer business as usual in service delivery. to either rate the Administration low or high. Harping on the responsibilities of the Ministerial SERVICOM committee, the FCT Nodal officer explained that it will oversee all SERVICOM activities in the FCT, with SERVICOM programme officers as representatives of the various Secretariats Departments and Agencies (SDAs).